Recently, we’ve been getting inquiries from associations and corporations interested in having their own MOOC. Unfortunately, you can’t have a MOOC. Sorry. End of blog post. Why not, you ask? I guess I’d better explain myself. The barrier is not technology–we (and many of our competitors) have the software and infrastructure to support a MOOC right now. The problem is that you don’t have the brand to draw a truly massive number of learners, and that critical mass is required to make MOOCs work. But there is good news! You can create a MOOC-like experience–a “quasi-MOOC.” Below, I’ll explain why massive numbers are essential to making MOOCs work, then offer five simple tips for creating a quasi-MOOC that gives almost the same experience to your learners–even if they don’t number in the tens of thousands. Let’s start with definitions. The term MOOC (coined by Dave Cormier) stands for massive open online course. So, it’s a course, it’s online, and it’s open–free to anyone with an Internet connection. But why is the “massive” part so important? Massive is a borrowing from techie precedents like MMORPG (massively multiplayer online roleplaying game, like World of Warcraft). It means this open online course is big, of course, but it also implies that the mass is simultaneous: tens-of-thousands-of-learners big, with everyone working on the same content at the same time. Without that, it’s not a MOOC. The educational experience does not work the same way without those tens of thousands of “multiplaying” users. A MOOC works by substituting its gigantic online community of learners for traditional student-instructor interaction. As the New York Times (among others) has noted, a MOOC instructor cannot answer all the questions generated by students. 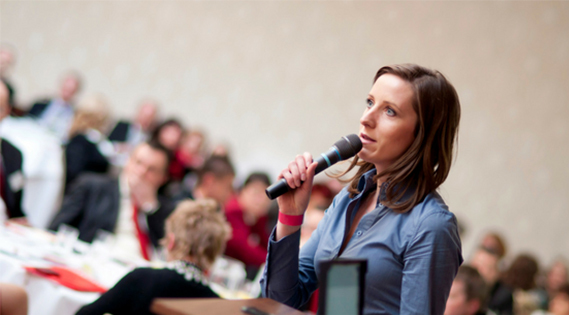 Instead, students jump onto the discussion forums or other social tools to put their questions to the user community. If the MOOC really is massive–think of those thousands of students all working on the same assignments–then it’s virtually guaranteed that someone else has already asked a student’s question, and that another person has taken the time to give a helpful answer. Just as quickly as you could get a personalized answer by raising your hand in class, you get the answer by typing it into a search box. It just comes from another student instead of the instructor. To make this a bit more concrete: I took a Coursera MOOC on Startup Engineering. We were required to set up a virtual server on Amazon Web Services. When I set mine up, I got stuck with a strange error. If this was a traditional university class, I would have emailed my instructor (or my teaching assistant in a larger class) and asked how to fix the issue. But because this was a MOOC, I simply visited the discussion forums and searched for a part of the error message. The very first search result had the fix in it. Other people had the same problem, and had given high ratings to the first post that offered the fix (Coursera allows students to rate discussion forum responses, and presents the highest-rated responses first–a good social feature). This is a handy solution to one of the classic critiques of online learning: that it lacks the (alleged) personalized experience of classroom learning. The solution is Web 2.0 basics, really: MOOCs rely on user-generated content to recreate this personalized experience. This works because the highest-quality content comes from the largest communities of users, gathered together around similar interests, on platforms with the best tools for finding relevant content. The MOOC discussion forum is also a small but pure and beautiful example of social learning. Yes, I was just troubleshooting a technical issue, but I could have been asking about something far loftier (how the sonata form in Beethoven’s Eroica Symphony symbolizes the struggle and eventual triumph of the individual, or whatever). The point is that, in a MOOC, students learn the broad strokes from an instructor, then iron out the finer points in social interaction with other students. Social learning is key to the educational success of any MOOC. Without it, the MOOC might as well be an online self-paced (asynchronous) course, in which students are on their own, with no help on their questions but FAQs and other pre-scripted support resources. So how are you going to get the massive-ness required to make your MOOC a success? Technology: discussion forums and other social features that which enable student-to-student interaction. Size: tens of thousands of users, ensuring that there is someone out there who is able and willing to answer almost any given question. Simultaneity: the fact that users are all doing the same assignments at the same time (also known as synchronous eLearning), thus ensuring that they are all hitting the discussion forums at the same time with an interest in the same content. Basically, you can have (or, we and our competitors can easily give you) factors one and three, but we unfortunately can’t give you factor two. Plenty of learning management systems have good discussion forums and other valuable social-learning tools. Many can give you the tools you need to manage synchronous courses (being able to release course activities at certain times, set deadlines, and so forth). Your learning management system may even be able to support those tens of thousands of users–but it cannot in itself deliver those tens of thousands of learners. What delivers massive numbers of learners? Brands. Educational brands. Big brands. 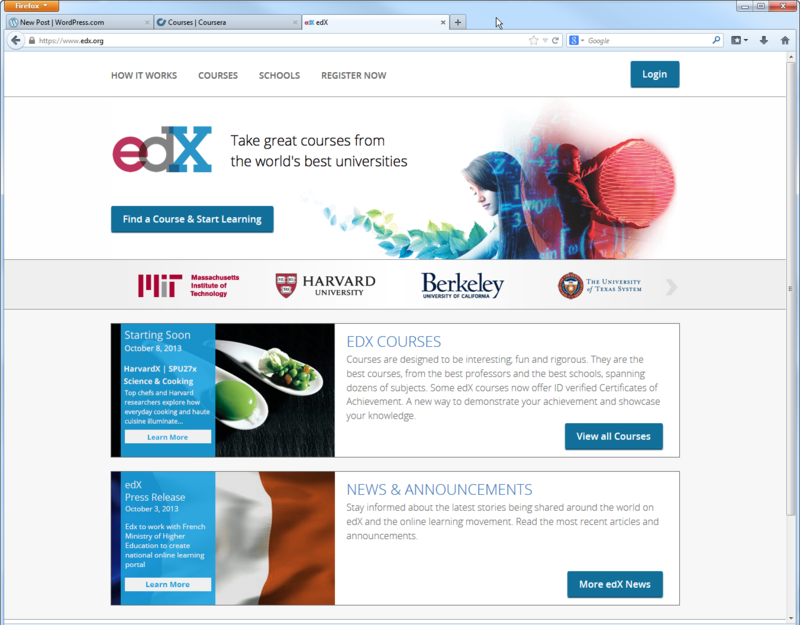 For a quick visual illustration of this, look at the home page for edX, one of the major MOOC platforms. Notice the headline: “the world’s best universities,” followed directly by the brands: MIT, Harvard, Berkeley, UT. 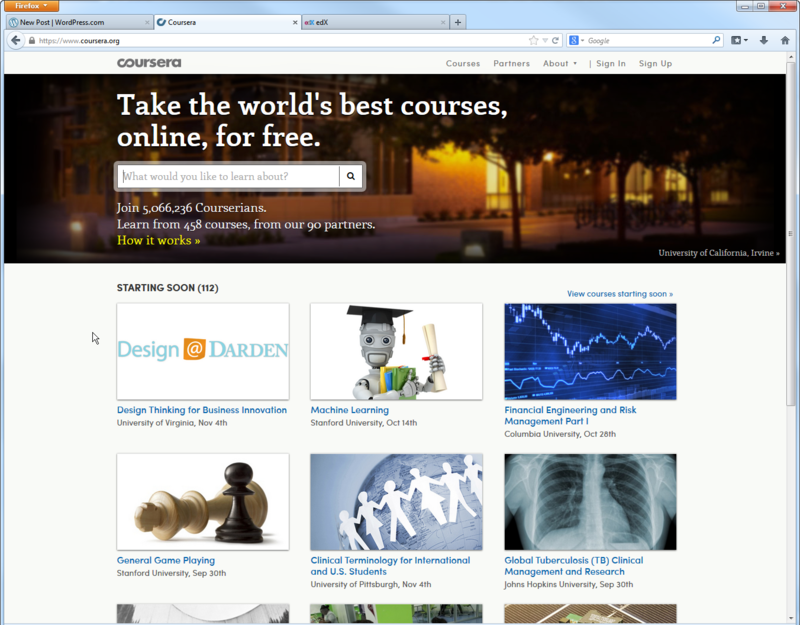 Coursera, probably the industry leader, is a bit more course-focused (instead of school-focused), but still very similar. There are the names, if not the colors and logos: UVA, Stanford, Columbia, Johns Hopkins, and so on. No private firm or association currently boasts an educational brand that can compete with Harvard, MIT, or Stanford. Add that to the fact that the topic of your professional development or on-the-job training is likely to have much less mass appeal than the standard MOOC fare (e.g., video game design, the history of rock and roll), and it’s hard to see how you are going to grab tens of thousands of eyeballs. With apologies for the grisly imagery. 1. Synchronous design. This means that all the students (or cohorts of students) move through the course at the same time, creating an online learning community. 2. Short learning activities. This would include those Khan Academy-style short videos that most MOOCs use, along with other short absorb activities. We’re gratified that higher education has finally seen the value in limiting the length of the online content dump to eight-to-ten-minute chunks. 3. Required peer review. The best MOOC I’ve taken used a required, automated, anonymous peer review system to ensure that students got thoughtful feedback on their work from real human beings. When we submitted our programming assignments, we would not get credit for them until we graded and commented on five other anonymous students’ assignments. We could then see the grades and feedback that other students left for us. It was time-consuming, but it reinforced the content (following the old rule that “the best way to learn something is to teach it”), gave us an opportunity to learn from each other’s work, and of course gave us personalized feedback from fellow students. The best part of this mechanism for the quasi-MOOC designer is that it doesn’t require thousands of learners. As long as your learning management system can handle it (ours can), you can do it with single-digit enrollment, provided that all the learners have some motivation (intrinsic or extrinsic) to complete the assignment. 4. Required group work. 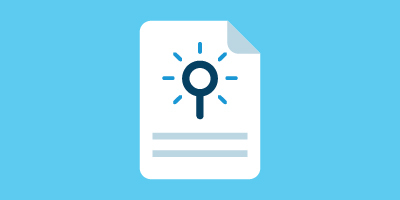 Requiring activities like posting journal entries on discussion forums, blogging, contributing to wikis, or submitting collaborative assignments creates an incentive to get students talking to and learning from each other. 5. Teaching assistants. You can replace the totally free help provided by the massive MOOC community with help from dedicated assistants who monitor the discussion boards, answering user questions. Of course, you may need to pay them. 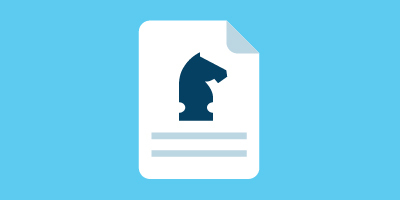 To ensure good ROI, pay them according to how many questions they answer on the discussion forum and how highly rated their responses are by your learners. My point is that a MOOC-like experience is achievable with smaller numbers, good instructional design, and the right LMS functionality. It might not offer the romance of 100,000 learners coming together online from all over the globe, but it can still be a great, valuable learning experience.